The Quintetto Denner comes out of the mixture of two different experiences and artistic sensitivities. As far as the jazz is concerned, the Quintetto Denner proudly co-operates with Claudio Wally Allifranchini (internationally famous jazzman). During the show the Quartetto performs pieces composed on purpose by him. Another important co-operation is with Filippo Rodolfi (famous pianist, composer and arranger), who personally writes the arrangements for the group. With him the Quartetto performs the jazz recitals. 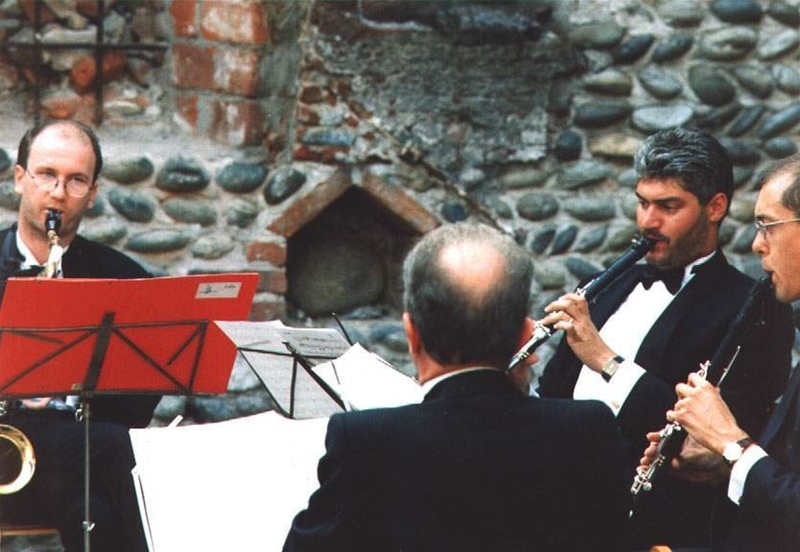 In 2001 the Quintetto Denner took part to the "European Jazz Festival" of Izmir as unique Italian group (every country suggested a group that could represent its own jazz musical culture). "Since his adolescence he has begun studying the clarinet privately, specializing in Novara and later at the Conservatoire of Turin. 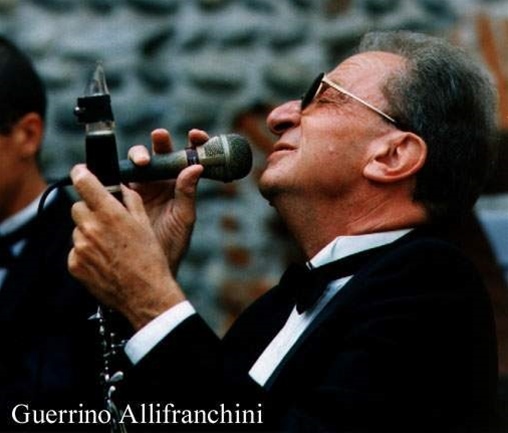 In 1954 he also began playing the alto saxophon with Bruno Canfora's orchestra. During his prestigious career he has performed for many recordings and TV programmes as soloist and musician in many orchestras. After the classical studies (Istituto Musicale Brera), harmony and composition with Roberto Gorini Falco, he begins studying jazz since his adolescence with Franco D'Andrea and Sante Palumbo. Since the 70's he performs as soloist or in many groups from the trio to the Big Band. Since 1978 he has been teaching in refresher courses for teachers, seminaries of Musictherapy, musical animation and basic music learning. The Trio Denner has performed in several shows among which the most important are: Teatro Italia- Rimini, Teatro Coccia- Novara, Sala Borsa - Novara. It has taken part to the seasons "Musica nei Cortili" and "Musica nei Quartieri" in Novara and Koblenz (Germany) and it has cooperated with the Coordinamento Novarese Per La Pace. Since 1998, thanks to the cooperation with Guerrino Allifranchini and Filippo Rodolfi the Trio Denner becomes Quintetto Denner.